One of our corporate customers needed to create an additional conference room. This room would always be in the same location thus, they did not need their dividers to be portable. Wallmount accordion doors are the answer. 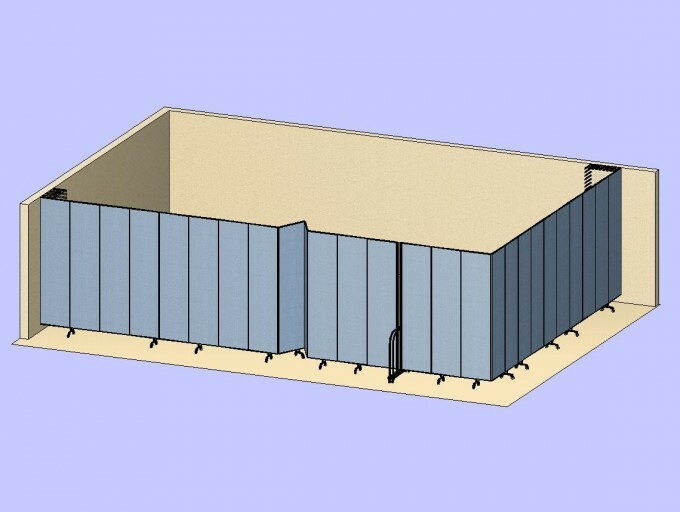 Two 8’0″ tall Wallmount Dividers are used in this plan to create a conference room which is approximately 28’0″ by 19’0″. As needed, the facility manager can fold the dividers up against the wall for easy storage. Choose the right color for your space from our 38 color options.